Call us at (919) 827-1107. Please login to theowner portal. If you cannot find what you’re looking for in the portal, call us at (919) 827-1107. Please login to thetenant portal. If you cannot find what you’re looking for in the portal, call us at (919) 827-1107. If you’ve thought about investing in a rental property, or even if you have already invested in property in Garner, NC then you might soon come to realize that management tasks can pile up faster than you can respond to if you try to manage your property yourself. Don’t let this journey become overwhelming, and use the guidance of a property management company that has had a history of success in the area. Some of the most successful rental properties trust the specialist advice and handling of a property management group. When you work with Real Property Management Excellence you are ensured that management jobs are cared for in a timely fashion and to the satisfaction of your residents. Don’t let the tasks add up prior to deciding to begin work with us. Choose from the selection of services we offer to prepare your property for success in the Garner, NC area. 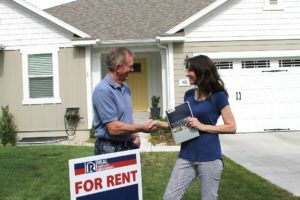 Working with Real Property Management Excellence will help build your credibility with your residents, which can often lead to a lower turnover rate and more money in your pocket. So while you sit back and enjoy your extra income, we take care of the rest. Have a look at the areas we service and contact our office today to find out more. This is only the start and we are not just limited to these areas. We work with you regarding both your property location and property management. Start realizing the benefits of investing in a property today. If you are interested in having your Garner property managed by Real Property Management Excellence, have more questions, or would just like to speak to one of our team members, then contact us online or call us directly at 919-827-1107 today! Please login to the owner portal. If you cannot find what you’re looking for in the portal, call us at (919) 827-1107. Please login to the tenant portal. If you cannot find what you’re looking for in the portal, call us at (919) 827-1107.